[INQ. NO. 1312E23] Powered by a sophisticated dual CPU system, Suprema’s BioStation delivers fast matching speed, rapid response and exceptionally low error rate. 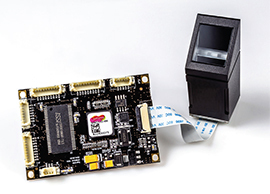 The powerful 400MHz DSP is dedicated to a fingerprint matching process for fast and accurate performance, and the 200MHz RISC processor ensures uninterrupted device operation. 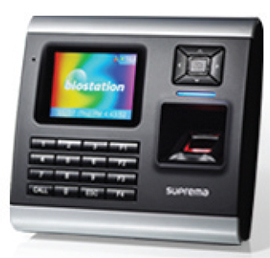 With its 2.5” QVGA color LCD, BioStation’s intuitive graphic user interface has been designed to offer clear communication with users in access control and time attendance applications. When in operation, it also provides voice and sound instruction with built-in speaker and on-device navigation keys makes even easier device control for both users and administrators. Featuring IP-based system topology and WiFi, BioStation’s IP access control system offers extra flexibility in designing user’s security system while reducing cost on installation & maintenance. Compared to conventional access control systems, IP access control provides lower cost per door with less wiring and utilization of existing network infrastructure. The concept also simplifies installation of systems with multiple sites since it only requires basic internet link to remote locations. At the core of every Suprema access control device, the world’s most powerful fingerprint algorithm assures unrivaled speed and accuracy. With powerful internal CPU and comprehensive communication interfaces, BioStation provides both reader and controller functionalities at the door. In addition, it can also control door locks with its builtin door relay or through external relay units. This concept not only reduces users’ costs for the entire system by removing costly access control panels, but also improves system stability by eliminating single points of failure that can affect the whole system. BioStation allows flexible system design and cost advantage with extensive communication interfaces and relays such as TCP/IP, RS485 and Wiegand. 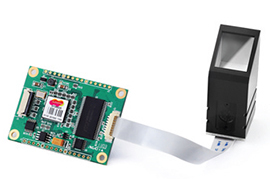 In addition, it provides USB2.0 interfaces (device & host), and multiple in/out relays to offer extra flexibility. 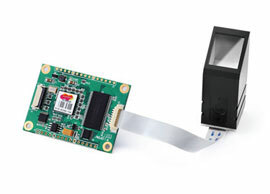 For further expansion, optional external relay unit is also available. BioStation offers comprehensive, fully customizable time attendance features. With its extremely easy-to-use interface, it offers uncompromising biometric time attendance solution to users’ organization. It is being widely used for time attendance and access control for offices, integrated payroll and HR management of employees, networked security for IBS buildings, financial and research institutes, and data collection for customer reward management. Filed Under: Find More Tagged With: Access Control and Time Attendance Terminal, cost advantage, flexible system design, Suprema Inc.